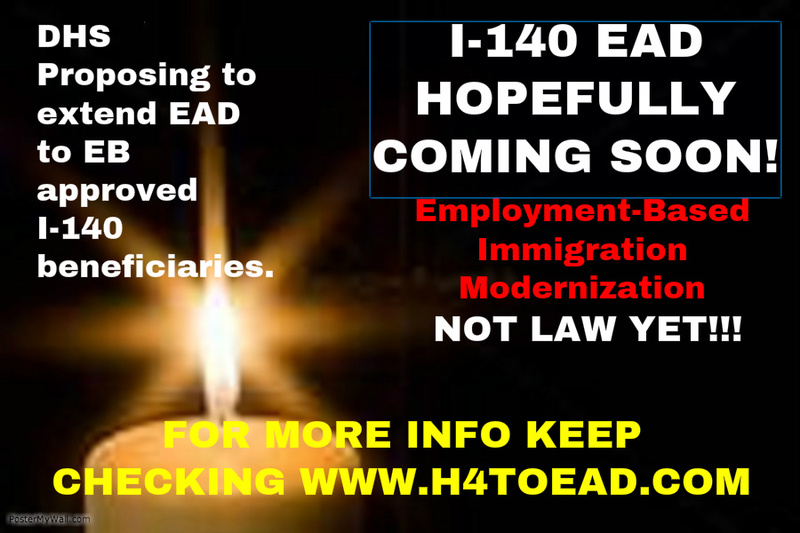 H4 Work Authorization, Work Permit or H4 EAD and H4 Visa Issues: When can the I-140 EAD become a reality? 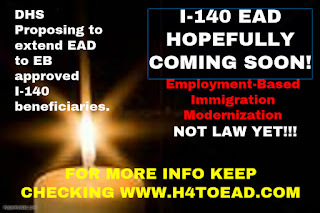 Lately there has been a lot of talk on will the I-140 EAD come to reality and when will this happen. At this point, it is on the "way to reality" because it is a proposed rule on the regulatory agenda and following a slow but almost sure course. Our estimates is that unlike the H4 EAD rule which required a lot of lobbying and campaigning to pass, this rule was mentioned by the White House already in November 2014 and DHS is just following through. As such we are expecting a lesser waiting time than the rule on H4 work permit, in case it passes all the musters including public comments. Our estimates is around eight to twelve months before it becomes law. Unfortunately there is no way to precisely measure this situation. Once it passes, it is going to change the dynamic for many. So hang in there until it passes! We will keep you posted. Check the page I-140 EAD for updates. Meanwhile we recommend having your company start your PERM labor and ultimately your form I-140 as soon as possible. Feel free to call us at 510 742 5887, should you need help. 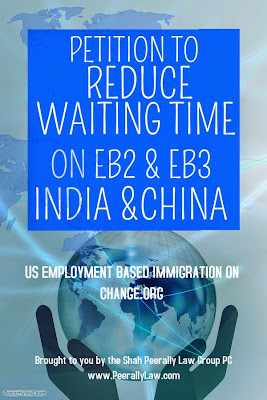 We appreciate your signature on Change.Org to push for the EB2 and EB3 waiting time reduction. Please click on image to sign.